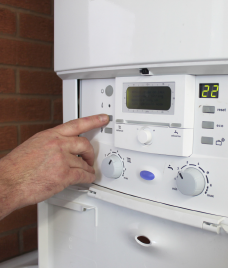 Whatever type of gas boiler you have our team of experts can quickly diagnose and repair the fault. We use only good quality components and parts. All works carried out come with a minimum one year parts and labour guarantee. 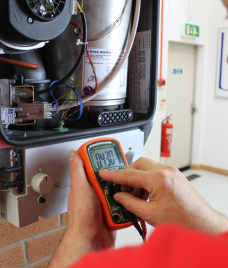 An annual boiler service is a wise investment, enabling your current system to keep operating at peak performance. Amongst other precautions the service will involve checking for monoxide leaks and correct gas pressures. 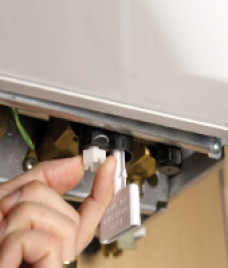 Regular maintenance helps prevent system breakdowns and prolong the boiler life span. HEH Ltd share the ideals of the Bosch Group, which are founded on quality, value and reliability. Only installers who are of this elite standard are entitled to offer our customers an EXCLUSIVE 7-10 YEAR MINIMUM GUARANTEE on all models of Worcester Greenstar gas fired boilers we install, subject to an annual service. HEH Ltd can offer our customers some cost saving ideas and offers. From time to time we lke to reward our customers with special offers and cost effective ways to have your boiler and system maintained and regularly serviced. Check our offers page for more deatils and our current offers and great ways to save. Why not request an appointment for one of our friendly team to visit you. Our expereinced and friendly installers will be delighted pay you a visit, at your premisies, at a time that suits you. Go to our online 'request an appointment' calendar to find a time that is convenient for you and request a visit from the HEH Ltd team!